DAILY VESPERS SENT DIRECTLY TO YOUR EMAIL EVERY DAY! Many of us take advantage of the amazing Church Calendar app provided by the Dyvensvit youth publication. It has stories of the Saints of the day and the liturgical propers and the full text of Vespers, Matins and the Hours, among other things! The thing is - the text is in Ukrainian and follows the Julian Calendar. 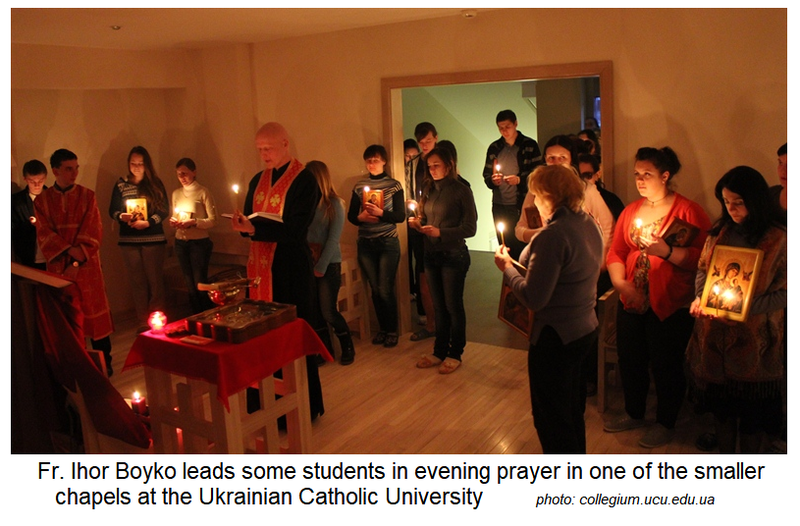 This is great for the vast majority of the Faithful of Ukrainian Catholic Church! However… there are a considerable amount of parish communities - in the 'diaspora' of course - that have adopted English (and other languages) as their language of prayer and they follow the Gregorian calendar in tune with the society in which they live. Well, there is now another amazing service being offered for the many who would like to pray the Divine Office of the Church (Chasoslov) individually or - becoming more popular - together with family and fellow-believers! EASTERN CHURCH PUBLICATIONS is offering a service for a nominal fee that many people throughout Canada will want to get in on! They send out, via email, the text of Vespers and/or the Hours - in English and according to the Gregorian (a.k.a. 'new') Calendar. For as little as $6 US a month, you can have vespers 'handed to you' ready to go (no flipping pages, sometimes from different books)! Just open up and pray! SEE BELOW FOR DETAILS! Please let us know if you have any comments or corrections. [CLICK HERE] to get to the ECP website and order today! We offer a discounted price for students, religious and seniors. All subscriptions are automatically paid through our website by credit/debit card, and range from $3.00/month to $18.00/month. Thanks!